The name of Tiburcio Vásquez lives on in the several businesses and public parks named after him all around California. The Tiburcio Vásquez Health Center. Vásquez High School. The Vásquez Day Use Area in Angeles National Forest. Vasquez Canyon. The famous Vásquez Rocks. Up until just a few years ago, there was a Tiburcio Vásquez Elementary School (it’s since been renamed). But surely, he must have been an important and influential man to have all of these prestigious namesakes. And, indeed, there are those who will say that he was. But Tiburcio Vásquez spent half of his short life being chased by the law - and at the age of 39 he was executed for murder. So was Tiburcio Vásquez a hero or a villain? And how did an educated, good-looking guy from an upscale family go down in history as The Desperado of Monterey? 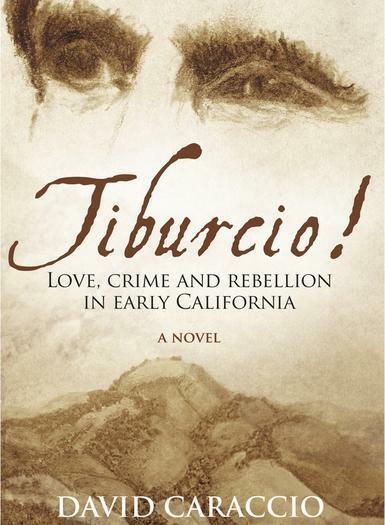 David Caraccio's historical fiction novel Tiburcio! Love, Crime and Rebellion in Early California is available at Amazon.com. You can find a copy of Vásquez's poem that David mentions on the show on page 84 of this link from 3rocks.org. An 1875 Article from the Los Angeles Times on Vásquez's trial and conviction. The wonderful song at the top of our show, "Tiburcio Vasquez", appears courtesy of John Bergstrom. 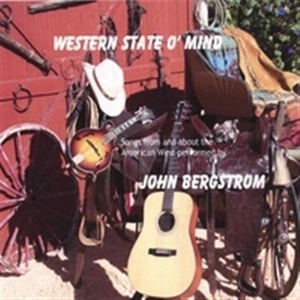 It's from John's album "Western State O' Mind," which is available on iTunes.com. You can also purchase CD's of John's music from outwestmktg.com. third generation New World-er - his great-grandfather had arrived in Alta California with the De Anza Expedition of 1776. Vásquez’s family was very well off. They sent young Tiburcio to school, and he could speak, read and write in both English and Spanish. Tiburcio’s early life was seemingly ideal and uneventful. He was a good student and a good son – a charming boy with many friends and a bright future ahead of him. But in 1846, the world around young Tiburcio changed. Alta California was no longer part of Mexico. They were Americans now, but the new national identity came with a price tag. If his community now seemed on edge and unstable, he found no relief from that at home. His father was gone. Whether he died or merely left the family is a matter up for debate –but regardless, an eleven year old Tiburcio was left to find role models in brothers and cousins not much older than himself. Tiburcio Vásquez’s life of crime began in 1852 at 17 years old, when he befriended Anastacio Garcia, one of California’s most dangerous bandits. Vásquez soon became involved in some small-time robberies as part of Garcia’s gang – showing his resourcefulness, he quickly moved to a position of leadership. His involvement with Garcia was cemented on an evening two years later, when a fight broke out while they attended a local dance hall. As the story goes, Garcia and some Irishmen were fighting over rum. Monterey Constable William Hardmount arrived to put a stop to the fray but was shot and killed by Garcia. Vásquez denied any involvement in the shooting but fled with Garcia, becoming an outlaw. Constable Hardmount was the first known peace officer to die in the line of duty in California. By 1856, Tiburcio Vásquez was an accomplished horse rustler, re-branding his ill-acquired steeds and selling them up and down the state of California. A sheriff's posse caught up with him near Newhall after he had rustled a band of horses in Los Angeles. He was sentenced to spend the next five years behind bars in San Quentin prison – and while he was there he helped organize, and participated in, four bloody prison breaks that left twenty convicts dead. He did briefly escape during one of those prison breaks – but he was quickly recaptured when caught stealing horses again. After his release a few years later, he returned to his criminal career - committing numerous burglaries, cattle thefts, and highway robberies. He was arrested once more after a failed store burglary in Petaluma, a bungled job that sent him back to San Quintin for another three years. In 1857, Anastacio Garcia was hanged for the murder of Constable Hardmount from the dance hall brawl three years earlier. Tiburcio Vásquez was on his own again – but now he was a man. He began forming his own gangs, holding up stagecoaches carrying bars of gold and silver and robbing other wealthy gringos he met along the way. Vásquez thought of himself as a gentleman and, interestingly, although crime spree lasted 20 years, the majority of the robberies he committed ended without bloodshed. And when he did fire his gun, it was often as he was trying to escape a heist gone wrong. His "trademark" was to bind the hands of his victims behind their backs and leave them face down in the dust. It was demeaning, sure – they weren’t otherwise uninjured. On August 17, 1871, Vásquez and two other outlaws robbed the Visalia stage coach between San Jose and Pacheco Pass. In no time they were pursued by a posse led by Sheriff Charles Lincoln who caught up with them, killing one, wounding Vásquez, and capturing the third. Though this was just the latest in a string of near-captures for Vásquez, and at least the second time he had been shot, Vásquez escaped to his hideout to recover from his wounds and allow enough time for the Sheriff’s posse to give up the search. end. Vásquez and two members of his gang held up Snyder's Store in Tres Pinos, in San Benito County, stealing $2,000 in gold. Three innocent bystanders were killed in the process. Vásquez had long been a wanted man, but this event mobilized the official and public effort to bring him to justice. California Governor Newton Booth offered a $1,000 reward for his capture. Posses were organized. Sheriff John H. Adams made the capture of Tiburcio Vásquez a passion project - pursuing the outlaw from San Jose down through Southern California – but through the smoke of yet another gunfight, Vásquez again eluded capture. Vásquez hid for several months in Southern California alongside his two most trusted men. They hid in the canyons around the old Tejon Pass, they camped throughout the Antelope Valley, eventually taking shelter at Jim Heffner's ranch at Elizabeth Lake – a location familiar to those who heard last month’s podcast. You might also recall from last month’s show that Tiburcio’s brother, Chico Vásquez, lived nearby and, in fact, was the foreman of one of the doomed ranches set on Elizabeth Lake’s shores. 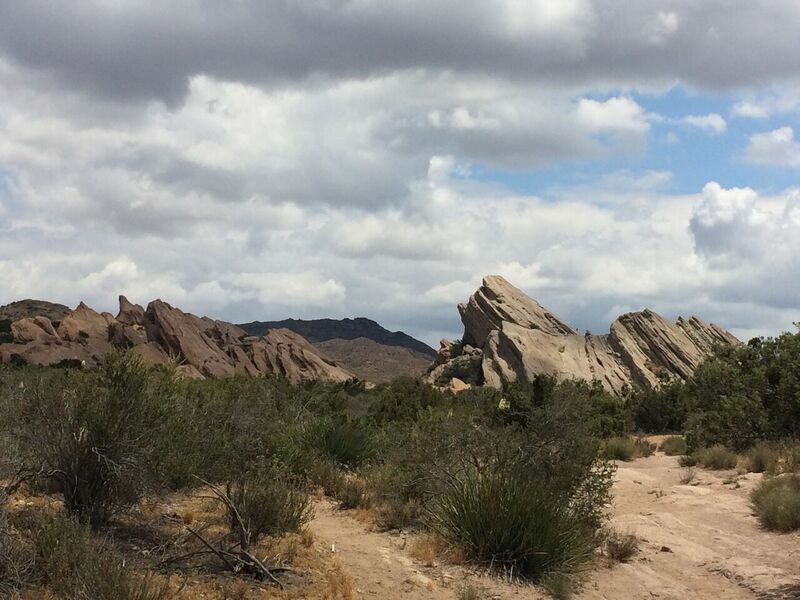 After this Elizabeth Lake respite, Vásquez rode on to Littlerock Creek, another of his Southern California hideouts. You see, not only did Vásquez steal gold and silver from all over California, he often hid it too. Gold and silver can be very heavy to lug around, slowing down any quick escapes the gang may need to make. And they certainly didn’t want to be caught with the wealth. Better to bury it and dig it up as need be. In the Los Angeles area, Vásquez had many strategically located places he could run to when need be, including Chilao, where one can now grab a beer and a burger at the popular watering hole Newcombs Ranch right on Highway 2, but in Vásquez’s day that same piece of land was pure wilderness, rarely ventured into, and made an perfect hideout. One story from that area goes that Vásquez kept a large, formidable guard at this camp named Jose Gonzales who lived in a log cabin a stone’s throw away from where Newcombs Ranch is now. The story goes that Gonzalez was such strong and vicious man that when he was attacked outside of his cabin by a large bear, he stood toe to toe in battle with it, ultimately killing it with a knife from his pocket. This bloody victory earned him the respect of the members of his gang who began to call him "Chillio," a slang word akin to "Hot Stuff." 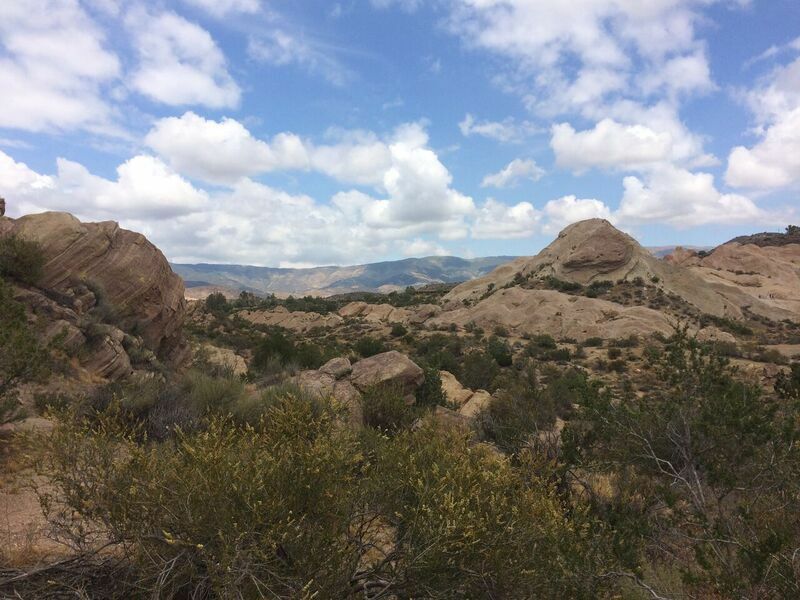 the famous Vásquez Rocks; and near to that, in Soledad Canyon and the area surrounding what’s now known as the Santa Susanna Pass – the same area that would eventually be home to Spahn Ranch and serve as a hideout for the Manson Family. Vásquez was very popular in his day with the Hispanic community, most of whom had lost portions of their land through legal and illegal means as a result of Alta California being lost to the United States from Mexico. Similarly, as the Americans seized the state's political affairs, the Spanish-speaking natives also lost their political influence. With the loss of political and economic power, many in the community were mistreated and discriminated against. They were a people looking for a hero. The charming, handsome, eloquent Tiburcio Vásquez fit the bill nicely. Women were attracted to him and he was known for his many love affairs, often writing poetry for his female admirers. One of these affairs would be his downfall. In the fall of 1873, Vásquez returned to the San Joaquin Valley. On November 10, he and his gang robbed the Jones store at Millerton, in Fresno. On December 26, he and his band sacked the town of Kingston, robbing all the businesses and making off with $2,500 in cash and jewelry. When this news reached the governor, the reward for Vásquez’s head was increased, first to $3,000 for Vásquez's capture alive, and $2,000 if he was brought back dead. These rewards were increased in February to $8,000 and $6,000, respectively, as the robberies continued. Eventually, Governor Booth was authorized by the California state legislature to spend up to $15,000 to bring Vásquez to justice. Additional posses were formed in Santa Clara, Monterey, San Joaquin, Fresno, and Tulare counties. But Vásquez’s activities intensified. Heading towards Bakersfield, Vásquez and one of his gang members rode to the rock formation near Inyokern now known as Robbers Roost. There they robbed a stagecoach coming from the silver mines of Owens Lake. During the robbery, Vásquez shot and wounded a man who refused to obey his orders. The gang then moved to back to Elizabeth Lake and then to Soledad Canyon, robbing a stagecoach of $300, stealing six horses and a wagon near present day Acton, and robbing lone travelers. Vásquez was believed by authorities to be hiding out at the rock formation that was one of his favorite hiding places and is now one of his namesakes: Vásquez Rocks. 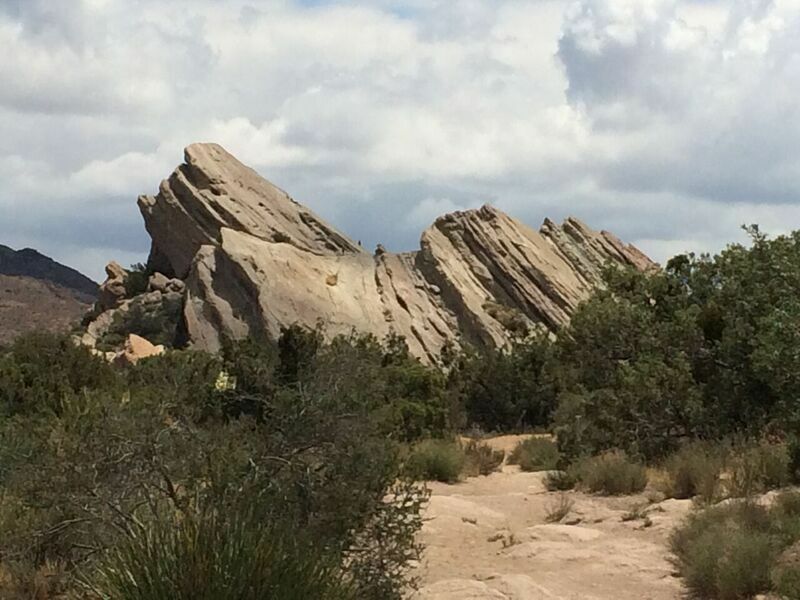 These rock formations proved a formidable hideout for him and his gang. Shallow caves, deep crevices and numerous overhangs created a maze for any posse to thread. The tallest rock, 150 feet high, provided an excellent lookout point. For months, he escaped attention. But on April 15, 1874, he and his band held the prominent sheep farmer, Alessandro Repetto, for ransom. 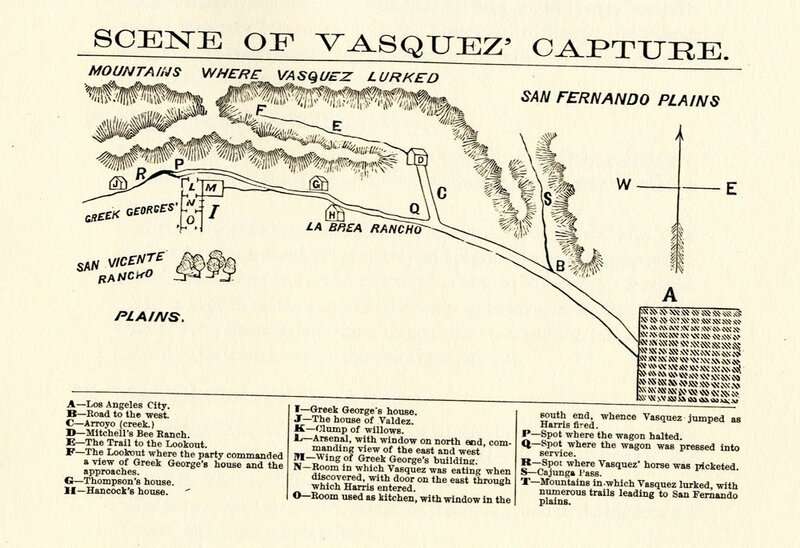 The pursuing posses from Los Angeles almost trapped the gang in the San Gabriel Mountains, but once again, Vásquez and his men escaped. Vásquez then took up residence at the adobe home of "Greek George" Caralambo. 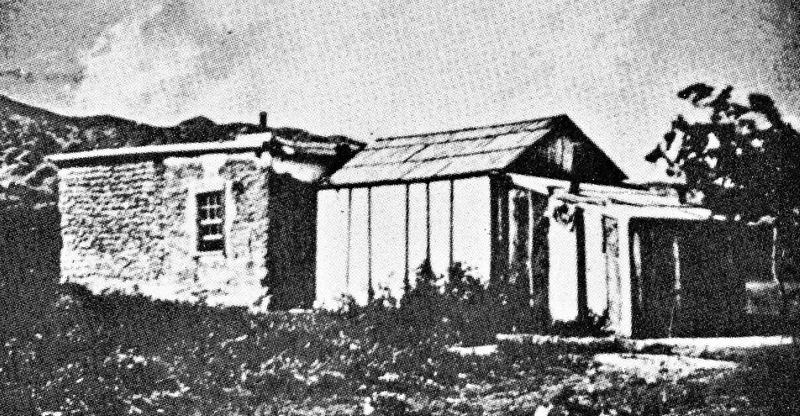 Greek George’s home was built of adobe and boards, stood near the foot of the hills, near what is now the intersection of Kings Road and Fountain Avenue in West Hollywood. Allegedly, Vásquez seduced a young girl who lived nearby. In some version’s of the story the girl is the young wife of one of his gangmembers. In other version’s it is the niece of his host, Greek George. In either case, the girl became pregnant and the people around Vásquez were angry. So angry, that trusted member of Vásquez's gang, Abdon Leiva (who may have been related to the girl), contacted authorities and agreed to turn State’s evidence against Vásquez. With this information, Los Angeles Sheriff William Roland was able to quickly send a posse to Greek George’s ranch. From a ridge on the west, as the fog cleared, Roland’s posse had a clear view of the ranch and, near the spring, could see two gray horses, one of which they were quite certain was the speedy stallion on which Vasquez had made previous escapes. They watched as a horseman left the house – and two members of the posse were sent out to follow, but the two gray horses remained, and it seemed certain that Vasquez and at least one of his band were still there. George's ranch house. The deep, high sided wagon was a perfect cover for their raid, the Sheriff’s posse threatened the two men with death unless they went with their plan. The six members of the posse climbed in the wagon, laid flat on the floor, and ordered the men to drive back toward the rear of the ranch house. Once they reached the house, they jumped out of the wagon and surrounded the exits without anyone being the wiser. On the count of three, they burst through the door and found Tiburcio Vásquez eating breakfast. Though caught by surprise, Vásquez still attempted an escape by jumping through the kitchen window and making a break for his horse. He was stopped short by a bullet through his shoulder and the spray of buckshot. He was wounded in many places and the posse thought he was dying, so they loaded him into the wagon as quickly as they could in an effort to get the higher “alive” bounty amount for their trouble. It was found that Tiburcio Vásquez’s condition was not nearly as serious as the posse had thought – even though he certainly did have many wounds – and Vásquez remained in the Los Angeles County jail for nine days. News of his capture quickly spread and news reporters began racing to the jailhouse for interviews, but Vásquez agreed to see only three: two from the San Francisco Chronicle and one from the Los Angeles Star. 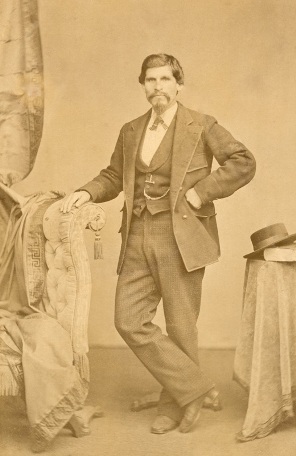 Vásquez claimed his crimes were the result of discrimination by the Americans and he insisted that he was a defender of Mexican-American rights. He told the papers his ultimate aim was to return California to Mexican rule. He insisted he was an honorable man and claimed he had never killed anyone. In late May, Vásquez was moved by steamship to San Francisco, where he was photographed in a prestigious studio, dressed in fine clothes. Vásquez quickly became a celebrity and folk hero among many of his fellow Hispanic Californians with hundreds of people coming to visit him, many of which were women. The charming Vásquez entertained them all, posing for photographs and giving out autographs. He even sold many of the photographs himself from the window of his cell, in order to pay for his legal defense. He freely admitted he was an outlaw, but repeatedly denied having ever killed anyone. A note purportedly written by one of his gang members, was dropped into a Wells Fargo box. The note said that he, not Vásquez, had shot the innocent men at Tres Pinos. Nevertheless, at his trial Vásquez admitted participating in the Tres Pinos raid. Since all the participants in the robbery were equally guilty of any murder that took place during its commission (a law that still exists in California today), whether Vásquez actually pulled the trigger was legally irrelevant. He would eventually stand trial in San Jose. His trial went on for four days and the jury deliberated for two hours before finally finding him guilty of two counts of murder in the Tres Pinos robbery. He was sentenced to hang, though the Judge who sentenced him stated that he did not believe Vásquez to be guilty of the crime for which he would receive death. A spirit of hatred and revenge took possession of me. I had numerous fights in defense of what I believed to be my rights and those of my countrymen. I believed we were unjustly deprived of the social rights that belonged to us. 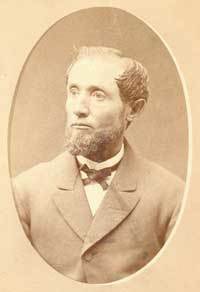 On March 19, 1875 Vásquez was hanged by Santa Clara Sheriff John H. Adams. The execution was attended by over 1,000 people and was the most publicized hanging in the history of the West Coast. The only word Vásquez said from the gallows, as the noose was placed around his neck, was "Pronto." Today, Tiburcio Vásquez remains a controversial figure ruled by duality. Although his name graces businesses and parks up and down California, his story has been forgotten by most of the state’s inhabitants. Those who do know of the legend either hold him dear as a folkloric hero or in disgust as a thief and a murderer. And that may be the only thing about California that hasn’t changed in 150 years. Boessenecker, John. Bandido: The Life and Times of Tiburcio Vasquez. 2010. Robinson, John W. California historian and retired teacher. Private interview.